Nowadays, we are aware of the use and necessity of SmartPhone phone in our Life.We can Just say that We can’t imagine our life without SmartPhones.Because A SmartPhone gives us the ability to Do Many or almost Everything Like Booking bus/taxi, online shopping, Chating, Net Surfing, Make & Edit Documents, Listing Music, Watching Movies and Most Important it connects us to the Whole World.That’s Why About 80% Mobile Phone Users have SmartPhone.So what will Happen & What to do if you lost your SmartPhone?.The answer to the First question is “life will become hell” and The Answer to the second question is not as simple as you think about.But Preparation before the problem will be better in this situation.we described below some of best apps to help you in this situation.We just choose best 5 Apps to Find Your Lost(Android, iOS & Windows). So before doing anything on your Smartphone, Install any of the Following apps and feel safe. 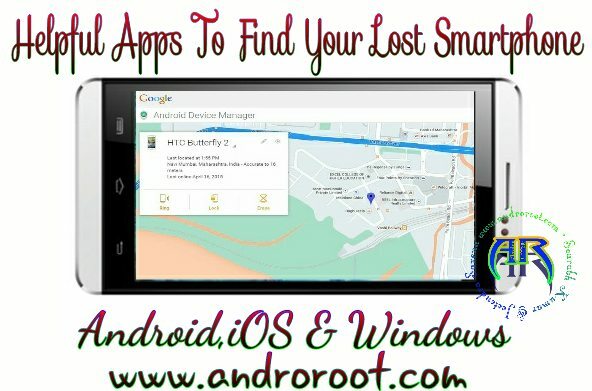 These Apps to Find Your Lost, are Able to find your lost SmartPhone and also gives the ability to Ring, Change Password, Erase Data etc.Features and required steps to find your Lost SmartPhone is also described in the description below. So Today I am going to tell you about the apps which have the ability to find your SmartPhone( Android, Windows or iOS ) easily. The apps have discussed below one by one…. All Apps have to be pre-installed on the phone before This Situation. Mobile location Tracker is one of the best android apps through which we can track our mobile phone very easily. The wonderful thing about this app is that it will work also when the GPS of the mobile phone is OFF.So Download this app and set the TIME INTERVAL-TIME INTERVAL between which we have to RECORD the Location. For example, if we set the TIME INTERVAL of 5 minutes then after every 5 minutes your phone the location will be traced and saved. Though this apps we can share your location with only one click. If the phone has lost then we can track our phone with the neighbor phone. This tracking apps can help to keep informed of our family and friend’s phone. More than 10 lakes person has downloaded this app. This security app is more helpful for WEB BEST CONTROL PANEL users. Though the help of it’s Control Panel, users can locate own android device easily. If it is also installed on the lost smartphone then you can also Start Ringtone, enable GPS, lock SmartPhone etc through the help of this app.You can also delete your phone data from far distance away. And you can also see the phone location in Map. Now if you lost your smartphone and Lookout app was pre-installed and enabled in it then just go to official website and follow the given instruction and steps and find your lost smartphone’s location.You can also lock or erase data from this app. Android Device Manager is popular apps because it helps us to show the exact location of the lost mobile phone. Same as all another app, this app have to be pre-installed in the phone before the situation. This device manager try to find the exact location, for that it uses inbuilt GPS setting of the phone. Sometimes, it can not able to show exact location but last exact location of the phone can be searched.You can connect with Google account after installing Android Device manager. 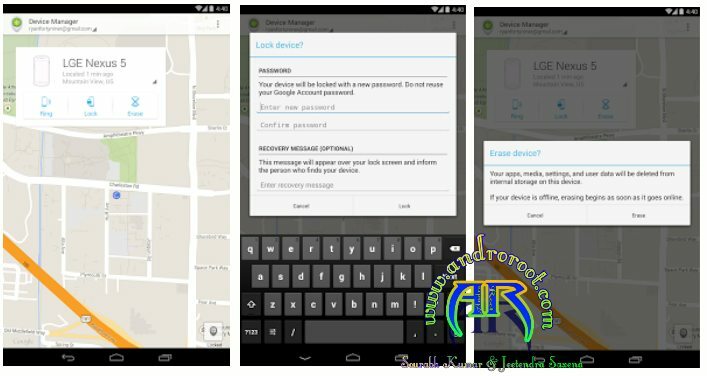 Through this apps, users can change the pin code of the lost device with the help of your Google account and you can also delete your lost phone data.Android Device Manager feature can be disabled if someone with the phone performs a factory reset. This app is useful for windows phone. It can be download by that phone’s which operating system based on windows 7 and windows 8.one’s if you download this app then you can connect it with “WindowsPhone.com”. After that, your phone can be traced from any place.You can lock and delete the data of your phone with the help of this app.It is also able to change the mode of the phone from silent to ringtone. 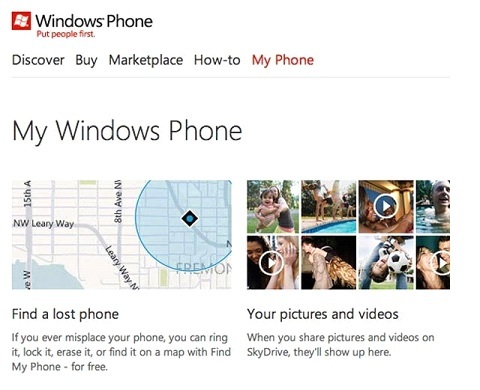 You can locate your lost device on the map of “WindowsPhone.com”. disabled if someone with the phone performs a factory reset. 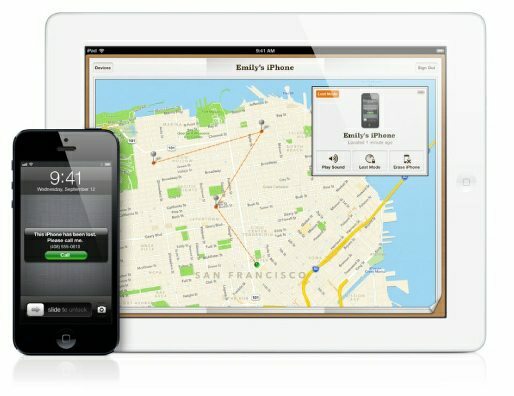 A special app was designed for the iPhone and iPad users which is able to show the location of lost iPhone or iPad. This app is available for only iOS users. It can be downloaded from the store of Apple iTunes. To use this app, your phone should have the operating system of ios 5 or above it. You will use the service of Apple’s icloud with this app. This service can be downloaded from “icloud.com”. After downloading this service in iPhone, you have to make Apple ID from your phone. After this, when your phone lost then follow these steps. Login to –“icloud service” after login you have to click on “ Find My iPhone”. After doing this the website will try to trace the location of your phone. Through the help of this app, you can delete the data of phone from meal of distance far. Conclusion:- Through the above-given statement I tried to explain the steps and Apps to Find Your Lost Smartphone definitly help you to find your lost smartphone. Above given all Apps to Find Your Lost Smartphone are useful and important. If any apps will not work properly then you can contact me by giving your comment and also if you have any other well known app to track Smartphone, then please share with me. Hurry up! Enjoy your wonderful life by avoiding the fear of losing mobile phone. Wish you all the best. Thanks to read my page.